When buildings go through a renovation or repair, they get covered with mesh-like cloth. The cover can be designed to be patches of Band-Aid. 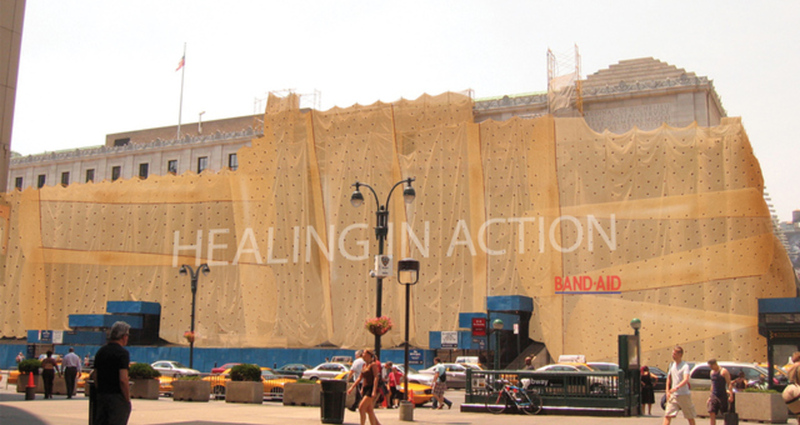 When the "healing" is done, the "bandage" comes off, revealing the fully healed building. The objective was to create an out-of-home, unconventional advertising for the Band-Aid. I thought that it needs to hit the key point that it heals.